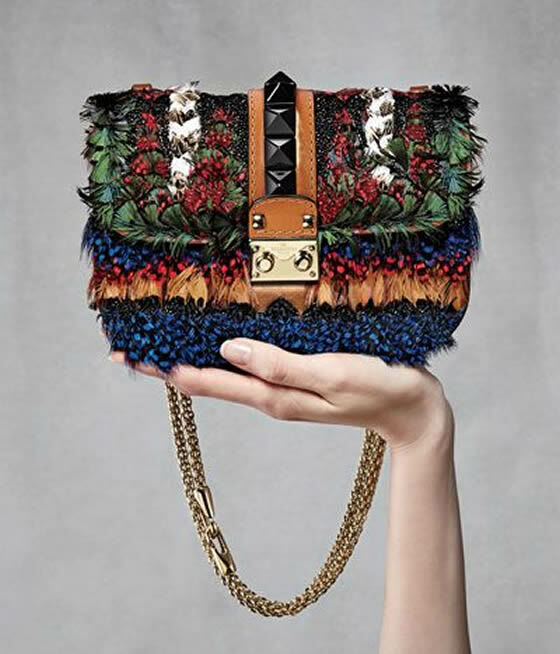 There are bags and then there are art pieces that only few can access to. 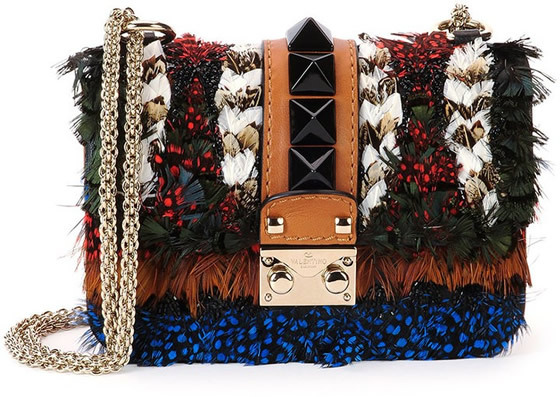 The images of this shoulder bag say it all. 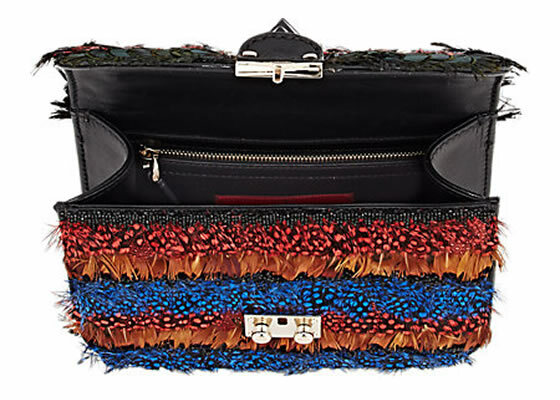 This stunner is made of layers and tiers of multiple types of feathers: from Guinea-Fowl, rooster, goose and duck. 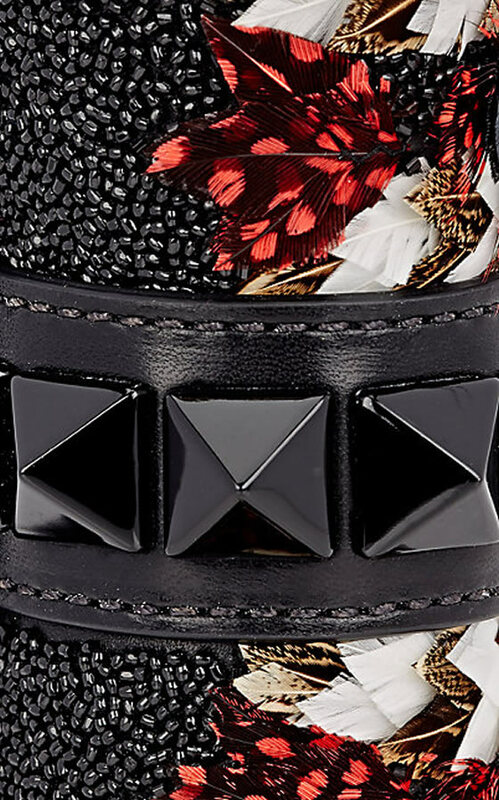 It’s also adorned with his signature pyramid studs and logo-engraved push-lock clasp. It’s a master piece, and as you can imagine as is its price… around 4.000 dollars. Oh if I was a billionaire! Já estou como a Bárbara, acho que a deixava sempre em casa, apesar de não ser grande fã do uso de pelos e peles verdadeiros tenho de admitir que esta mala mais parece uma obra de arte está linda e com pormenores muito delicados. Adorei a junção das cores e contraste diferentes. This is my dream bag!!! 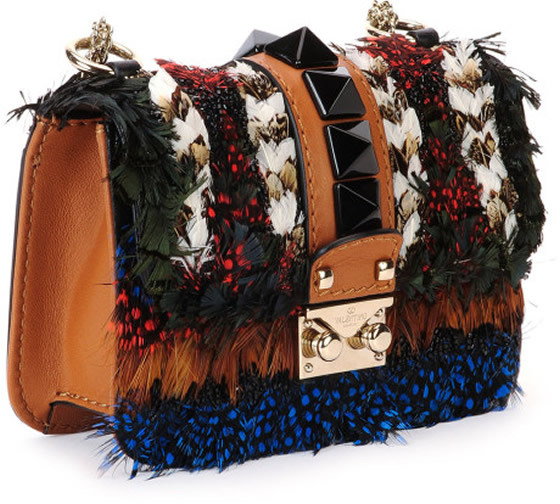 I love this bag so much ..
Oh I need that!!!! so stunning!! oh my goodness what an amazing, unique piece. I love it, thanks for sharing!